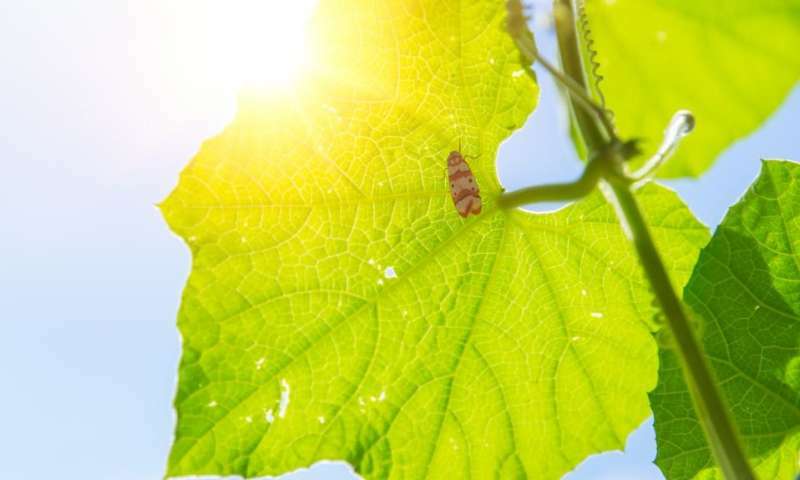 In a study of 11 different plant species, published in Molecular Biology and Evolution, researchers at the University of Oxford have shown that the speed at which plants evolve is linked to how good they are at photosynthesis. The team from the Oxford Department of Plant Sciences detected differences in plant gene evolution that could be attributed to how good or bad those plants were at photosynthesis. Plants need nitrogen to do photosynthesis. They use it to build the proteins they need to turn atmospheric CO2 into sugars. However, plants also need nitrogen to build their genes, and the different letters in DNA cost different amount of nitrogen to make—A and G are expensive while C and T are cheaper. What the study found is that plants that invest lots of nitrogen in photosynthesis use cheaper letters to build their genes. This molecular "penny-pinching" restrains the rate at which genes evolve and so plants that spend a lot of nitrogen on photosynthesis evolve more slowly. The study provides a novel link between photosynthesis and plant evolution that can help explain why the number of plant species is unevenly distributed across the globe. It also helps to explain why plants that are highly efficient at photosynthesis form new species faster than plants with lower efficiency. Lead author, Dr. Steven Kelly, from Oxford's Department of Plant Sciences, said: "These results also allow us to make predictions about how plants evolve in response to a changing climate. For example, when atmospheric CO2 concentration goes up, plants don't need to invest as much nitrogen in trying to capture it, and so more of the nitrogen budget in the cell can be spent on making genes. That means when atmospheric CO2 concentration goes up plant genes evolve faster."